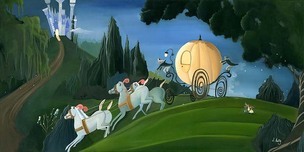 Cinderella is a 1950 animated feature produced by Walt Disney, and released to theaters on February 15, 1950 by RKO Radio Pictures. 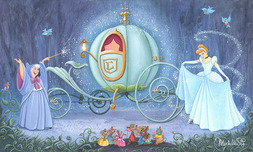 The twelfth animated feature in the Disney animated features canon, Cinderella was directed by Clyde Geronimi, Hamilton Luske and Wilfred Jackson. 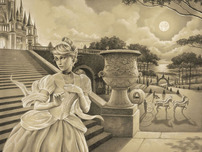 Adapted from the fairy tale "Cinderella", drawing primarily from the version by Charles Perrault. 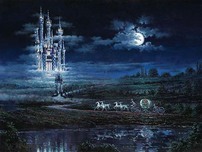 Songs were written by Mack David, Jerry Livingston, and Al Hoffman. 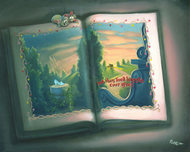 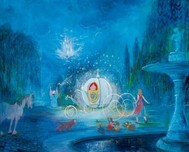 Songs in the film include "A Dream is a Wish Your Heart Makes", "Bibbidi-Bobbidi-Boo", "So This is Love", "Sing Sweet Nightingale", "The Work Song", and "Cinderella." 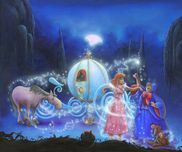 Made on the cusp between the classic "golden age" Disney animations of the 1930s and 1940s and the less critically acclaimed productions of the 1950s, Cinderella is representative of both eras. 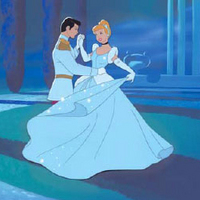 Cinderella was the first full-bodied feature produced by the studio since Bambi in 1942; World War II and low box office returns had forced Walt Disney to produce a series of inexpensive package films such as Make Mine Music and Fun and Fancy Free for the 1940s. 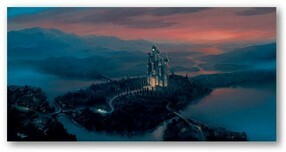 Live action reference was used extensively to keep animation costs down. 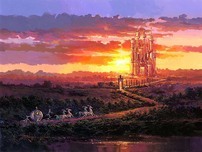 According to Laryn Dowel, one of the directing animators of the film, roughly 90% of the movie was done in live action model before animation, using basic sets as references for actors and animators alike. 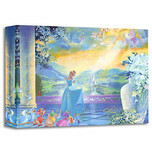 Remember every time you purchase Cinderella artwork over $995, shipping is FREE in the continental U.S. and there is NO SALES TAX when you purchase outside of Colorado. 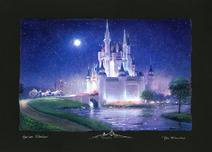 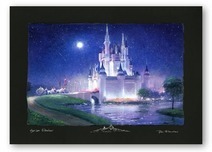 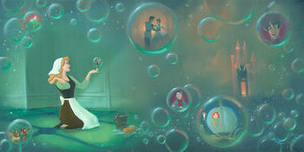 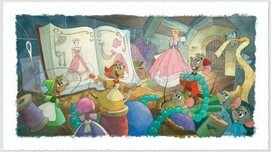 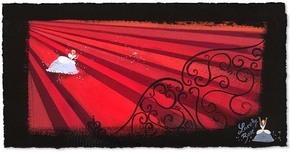 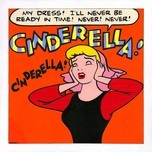 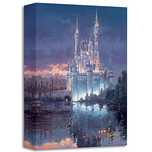 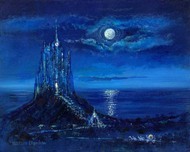 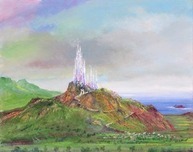 We SHIP WORLDWIDE and offer Layaway for Cinderella art.